Twenty seven years on the job and a native of Malabar - I would think those are qualities that define her as an expert in Malabar cuisine. 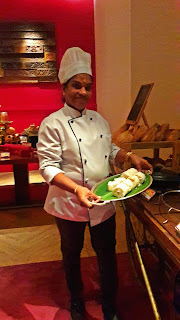 She is Master chef Latha from Malabar Cafe, Grand Hyatt Kochi who is in Chennai dishing up a cuisine, variations of which are served in Chennai restaurants and food festivals but are not quite the real deal. 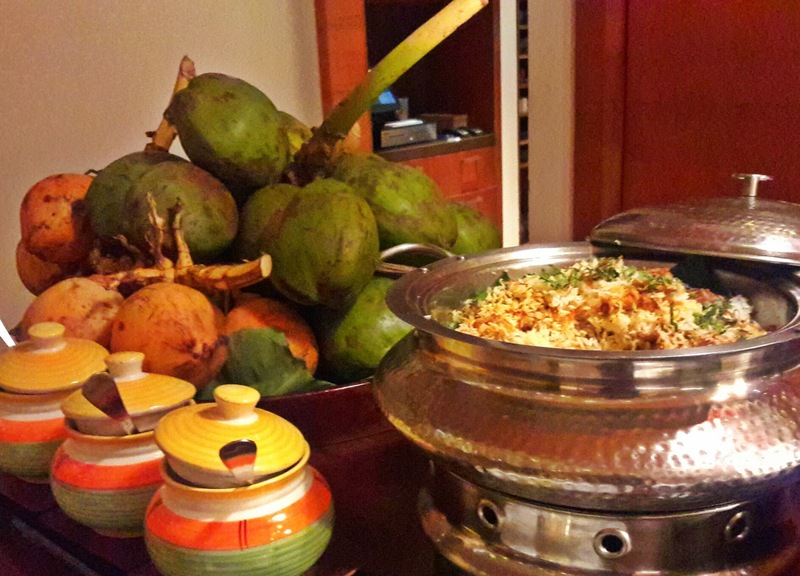 Park Hyatt Chennai's The Dining Room is where Malabar Magic happens every night. 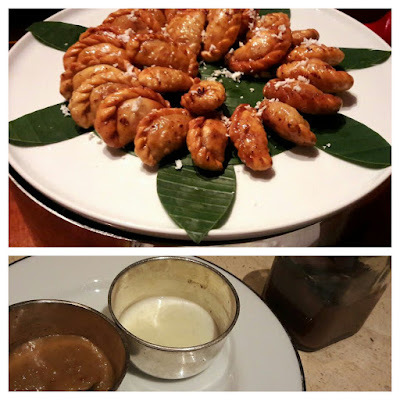 There are appetisers and to drink there is buttermilk - morum vellam that will not only quench your thirst but also tone down the spice levels if they bother you. 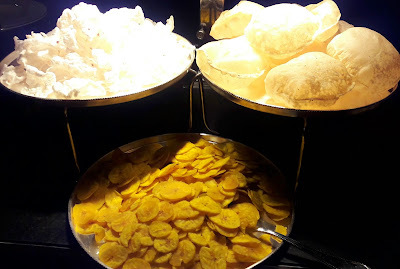 A rotational menu is in place; the night we were invited to review, we watched masterchef Selvaraj make the famous Malabar parotas at the live counter. 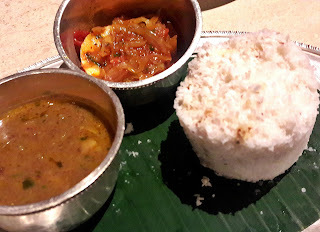 There was also puttu (steamed rice cake) served with kadala (horsegram) curry. 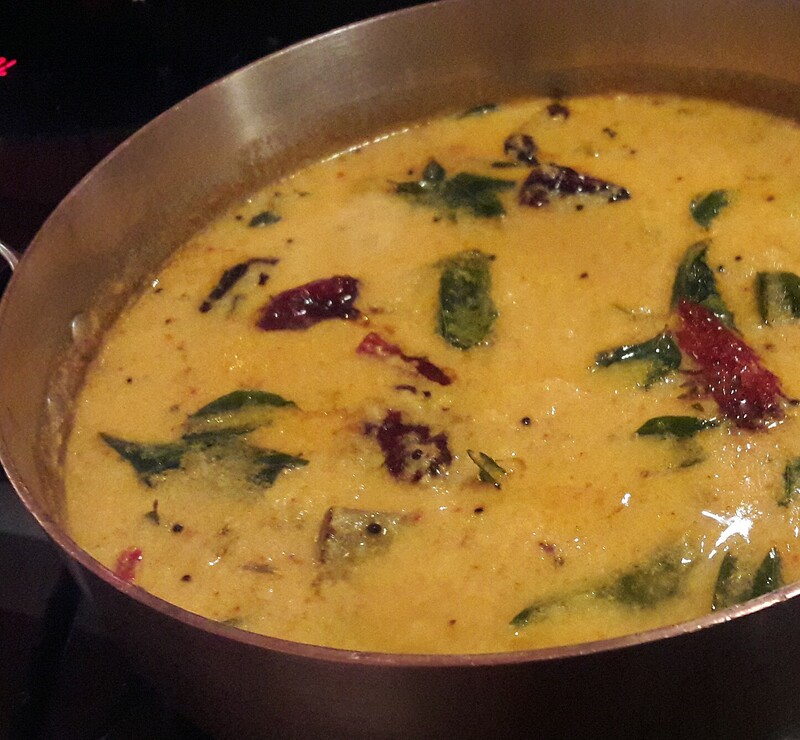 The kadala, fragrant with the earthy aroma of freshly ground coriander, brought back childhood memories. Dry chillies in Kerala are long and crinkled. 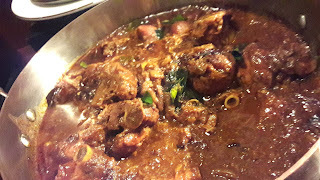 When ground, it is incredibly red but not too spicy. 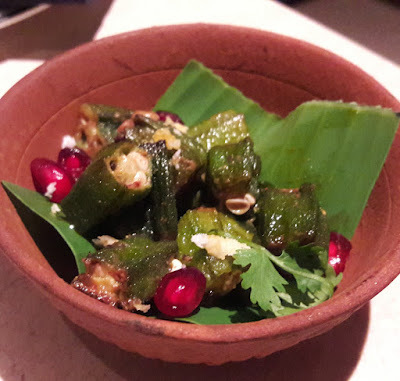 Chef Latha's pickles were made with this chilli and the bright red prawn and the date pickles were stand out. Fish pickle had been made with tuna and the tiny cubes were quite hard. 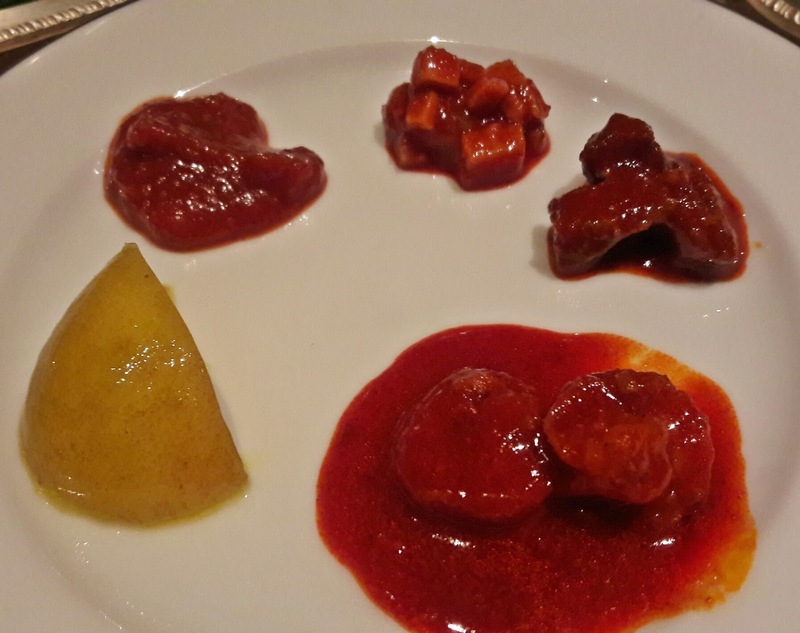 There was also a tangy lime pickle (personal favourite here) and a yam pickle. Every masala paste is made in-house and all the spices she uses are roasted before being ground and that opens up the flavours. The indefatigable chef goes around meeting the diners and is very confident of her food and has no hesitation in sharing her "secret" spice mix recipe! 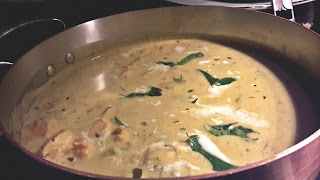 Malanadan chemeen (prawn) curry, reminiscent of a mappas curry was rich with coconut milk and was definitely a favourite along with the murungika manga (drumstick and mango) curry. 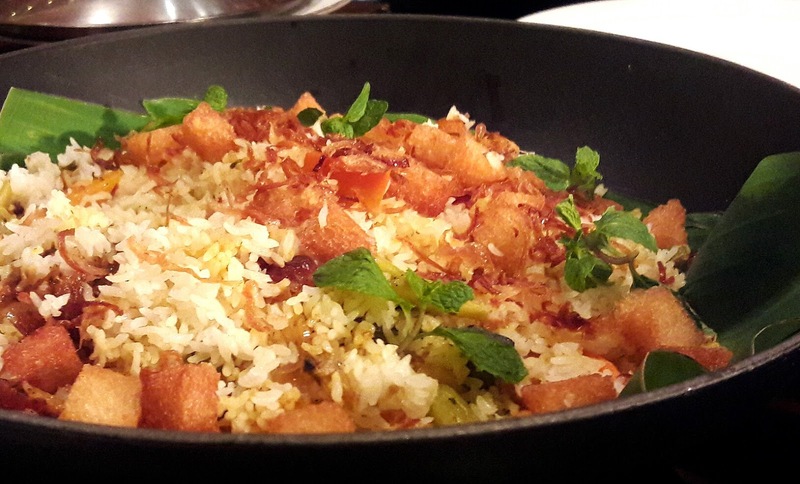 It was a wonderful accompaniment to the parota and plain rice. 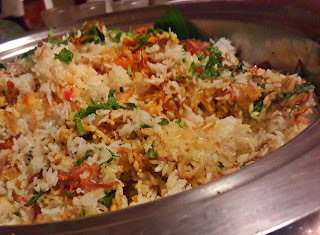 Thalassery meen (fish) biryani was flavourful but the fish used it it was disappointing. The Kerala-style vegetable dum biryani was on the other hand, worth a second helping. Payasam, pradhamam, coconut surija and other Mopila desserts shared space with mousses and gateaux. Still, a glass of sulaimani tea would have been a good way to end. Malabar Magic will be on till 30th November. It is priced at 1800/++ per head.